We make upholstered headboards for our storage beds. But there are many different heights available, styles available and methods of attachment. So we thought we’d give you a little bit of a headboard guide. For any of those unanswered questions that you still may have. As our headboard heights are perhaps the most asked question we get in relation to our headboards. We thought that we would explain them for you here. It is a little confusing, but once you know about them, it all makes sense. Integrated 60 should really be split in to two sections – Integrated and then 60. As integrated refers to it’s method of attachment. And 60 refers to the height. 60cm to be precise. However this is not the height from the floor. As that would be very low! But in fact 60cm is the usable height. So the amount that is actually above the mattress that you might rest against. 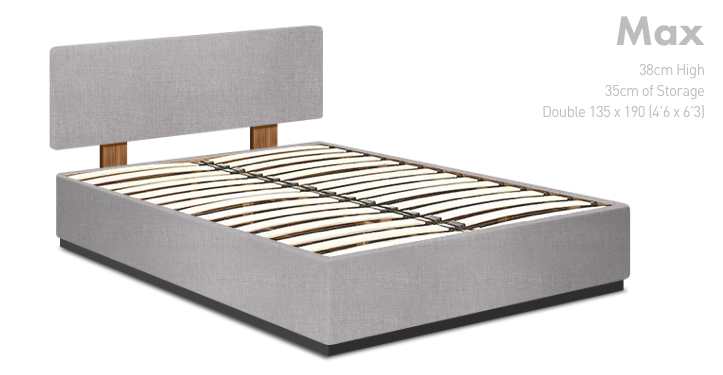 Since our bed base heights vary, an integrated 60cm headboard sits roughly 115cm from the floor. And is the ideal amount for resting against whilst reading in bed. 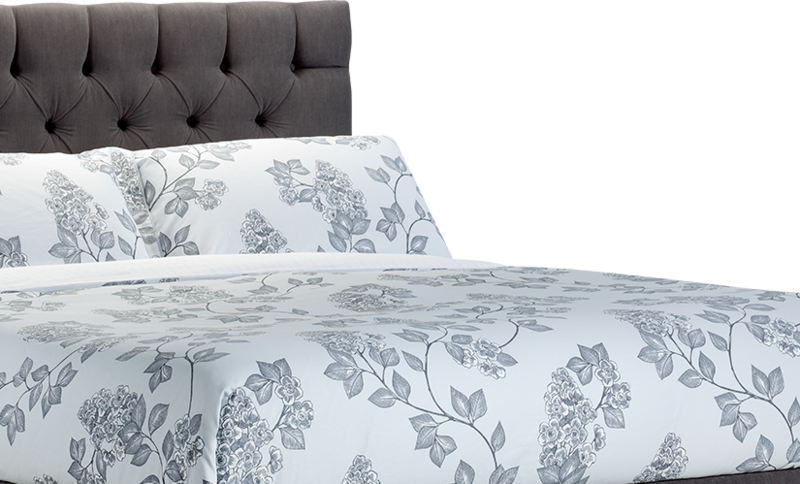 This 60cm headboard is non-integrated and so attaches on to the bed either with sticks, or is wall mounted. It’s actually the most space saving way of having a headboard. As the depth of the headboard isn’t added on to the overall length of the bed. We recommend mounting it just below the mattress. And as the headboard is 60cm from top to bottom, it means you would have about 58cm of headboard showing above the mattress. Still plenty to rest against. Most of our headboards can come either way but there are a few exceptions. 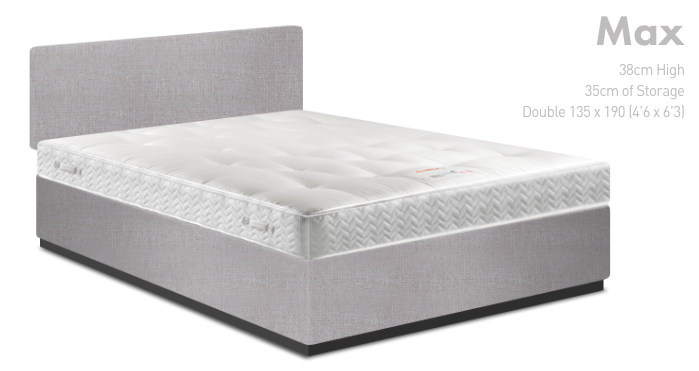 Horizon can only come as an Integrated headboard. This is because it’s 10cm deep. Mondrian can only come as a non-integrated headboard due to it’s wooden trim. Also due to the design, the two heights it is available in are 73cm and 105cm. But hopefully this now all makes sense. Bed Base Height + Mattress depth/Height + Headboard Height. 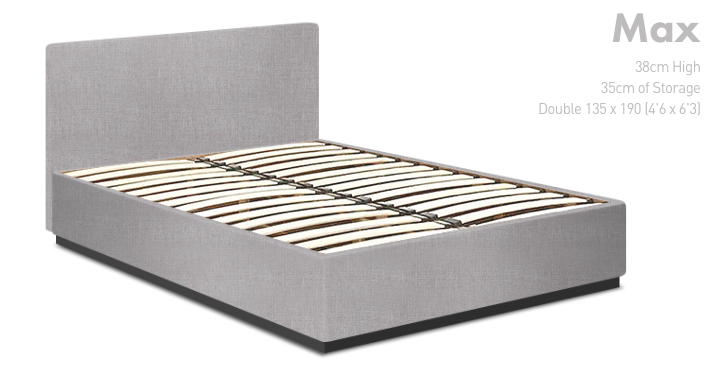 So if you chose our Max model, our Luxury 1500 Mattress and our Standard 60cm Headboard it would be: 38cm + 25cm + 60cm = 123cm. You might then choose to mount it 2cm below the mattress, which would give you an overall height from the floor of 121cm. This formula can be applied to any bed base, mattress depth and headboard height – and so hopefully now all makes perfect sense! Should you wish to learn more about our upholstered headboards, and the different styles, you can read more about them here.